This is the summary of consumer reviews for Samsung - 24" Tall Tub Built-In Dishwasher (Model: DW7933LRAWW, DW7933LRABB, DW7933LRASR). The BoolPool rating for this product is Good, with 4.00 stars, and the price range is $429.99-$682.15. 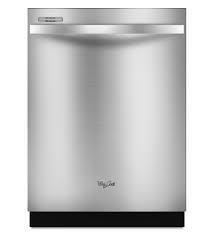 The Samsung - 24" Tall Tub Built-In Dishwasher (Model: DW7933) is an energy efficient machine that uses only four gallons of water per cycle and 279 kWh a year to clean and dry your dirty dishes very well. Even the beautiful stainless steel interior helps reduce power consumption by retaining heat and speeding up the drying process. 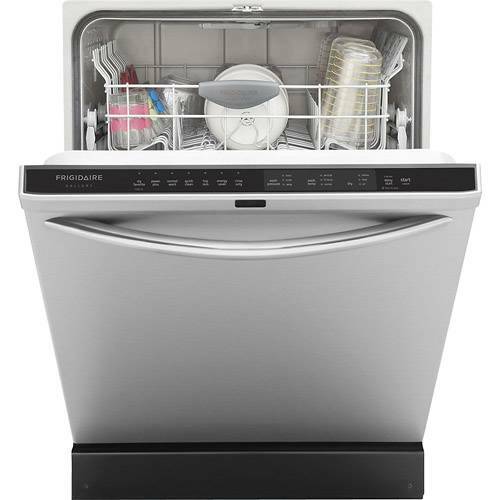 This spacious dishwasher features adjustable racks and an easy to mount feature. 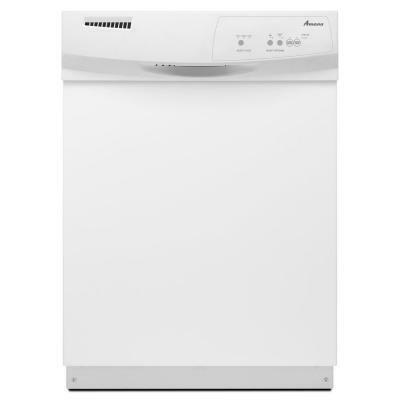 The quietest dishwasher in its class, the DW7933 comes with six layers of insulation to ensure low noise levels. Even components such as the food disposer, water pumps and spray arms are specifically designed to be more silent than those found in conventional models. A Smart Auto Program saves energy and water by washing dishes in a shorter amount of time. This dishwasher features a the Digital Leakage Sensor to keep an eye out for plumbing glitches before they become big issues. 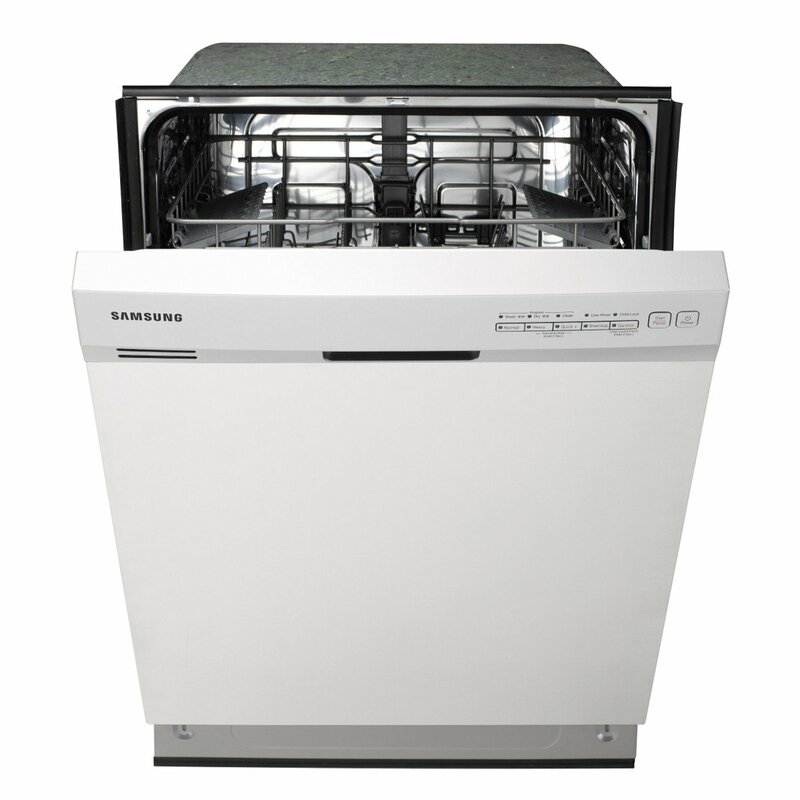 However, the Samsung - 24" Tall Tub Built-In Dishwasher (Model: DW7933) may not have enough room to hold large knives, and installation may be a bit complicated with people who are not used to installing machines like this one, so have a professional take a look at it first if you find it too complicated for you. 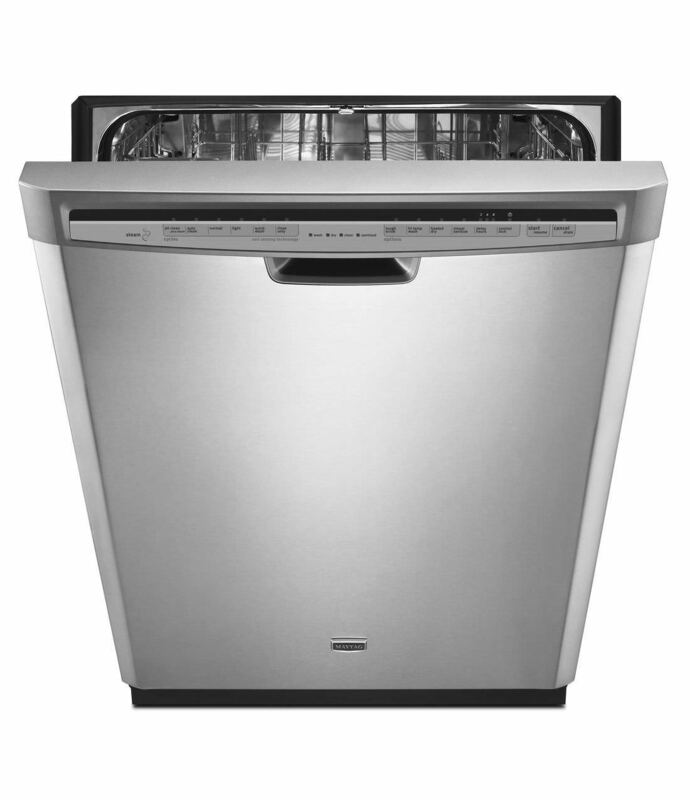 Overall, the Samsung - 24" Tall Tub Built-In Dishwasher (Model: DW7933) is a well performing dishwasher at good price. It is well worth the money for its features and quality. Product Dimensions (W x H x D): 23-7/8" x 34" x 24-6/8"
Great value anf fair price. Works fine, quite and price was right. Best price for the value of all units checked. Great for the price and very quiet. Simple, quiet, good quality, and a great price. The machine is a good buy for the price. got a great deal on price match. Good Dishwasher for the price, runs quietly, doesnt have adequate room for large knives, nowhere to really put them. And the installation was easy. Everything delivered and installed as agreed. It was super easy to install. Some problems with installation schedule but individual who did installation was competent and left the area tidy. It came with everything needed for installation except for one simple part. The first dishwasher that was delivered was probably great, but the install people messed up the installation. 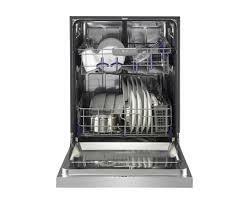 This's a great dishwasher easy install no complaits at all about this unit good price also. We decided to install it ourselves. The only downside is the installation. quiet, dishes are spotless, racks are adjustable and easy to load. 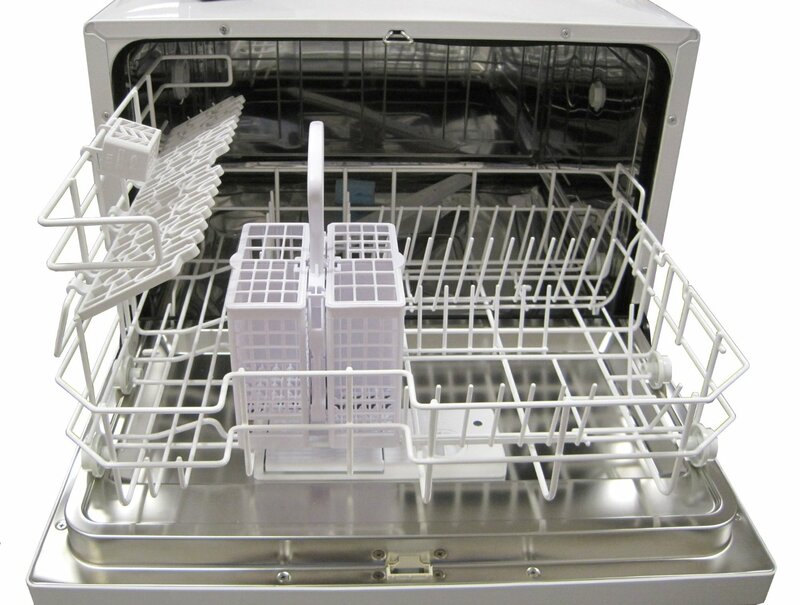 Good dishwasher, great price, the operation is quiet and acceptable, We can fit more dishes in the top rack because of the adjustable rack system. Top rack is adjustable so can load larger items. Bottom rack - The bottom rack drives me insane. The top rack can't be lowered for taller glasses, I think this's very cool washes everything really well. The large rack on the top is nice for tall glasses and bowls. I'd make the top rack easier to load cups. 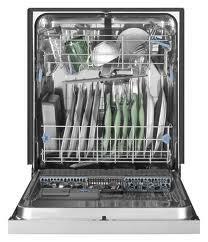 This particular dishwasher has large capacity racks, that can be adjusted to hold taller items. Love that this dishwasher is very quiet and the dishes come out dry. Nice dishwasher, really realy quiet. It also is really quiet. Easy to mount, runs quiet, spacious. easy to use, quiet operation, quality features. Very quiet and room to load dishes. Does the job and is super quiet. It's also quiet and dependable. Runs VERY quiet and cleans dishes well. This dishwasher is quiet, cleans the dishes very well. Cleans very well, doesn't entirely dry the dishes. This dish washer does an excellent job of cleaning dishes, no spots left. Quiet, leaves dishes pots pans and silverware clean and dried. This dishwasher simply doesn't heat the water well enough to clean dishes, nor does it properly dry them. When rinse aid was used, the dishes came out clean and reasonably dry. Dishes come out clean but must wash before putting in dishwasher. I am blown away at such high reviews! Samsung dishwashers are horrible and failure rates on many models are horrible. And this models is the worst. Suggest viewers dig into other reviews to get more complete answers.